Japanese traditional, solid watercolors for professional artists and crafters. 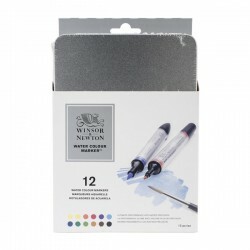 Ideal for sketch, illustrations, sumi-e and more! 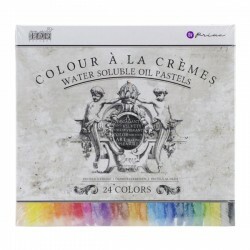 Water-based pigment. 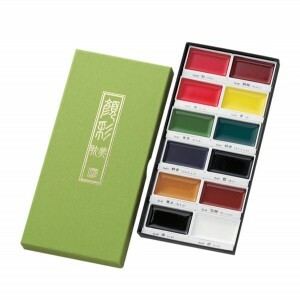 Colors include: White, Black, Scarlet Red, Red, Wine Red, Lemon Yellow, Light Brown, Brown, Mid Green, Green, Blue and Deep Blue.